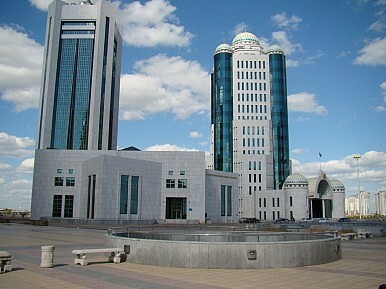 Astana is setting itself up to manage NGO funding, an arrangement many NGOs find deeply concerning. The law in question has been in the works for a few years and many commentators have drawn comparison with the notorious “foreign agents” law introduced in Russia in 2012. The texts differ, but the intent is similar. For instance, leaders of NGOs and faith groups could face up to six years in jail if they fail to register their group with the state, receive funding while the group is still unregistered, or are deemed to have interfered with the operation of state institutions. If adopted, some worry that the more recent NGO law could be used in combination with the updated criminal code to essentially shut down NGOs that are not decidedly pro-government. IWPR notes that critics of the law say it would favor “government-organised non-government organisation” Kazakhstan may be setting up the legislative infrastructure with which it can dismantle critical voices while allowing the semblance of civil society to remain. New research on youth in Central Asia attempts to untangle young people’s political attitudes and preferences on their own terms.